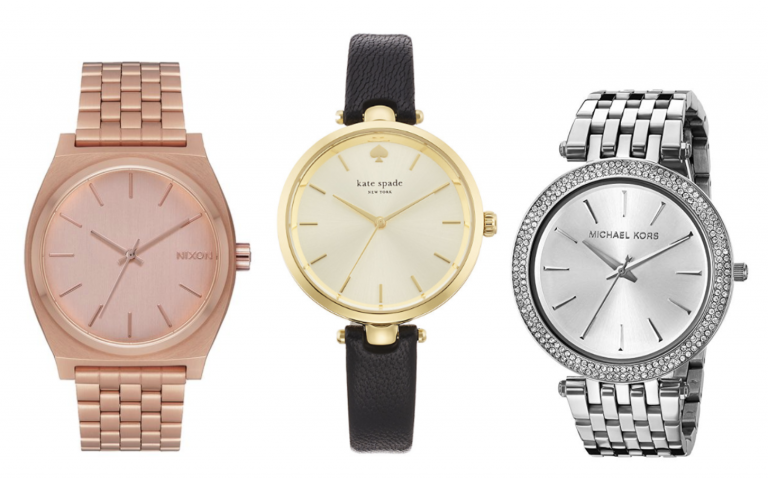 Rolex have some exquisite designs that any discerning woman would be proud to own. Such is the quality that Rolex watches for women warrants a dedicated discussion about what this eminent brand has to offer. 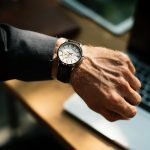 Fortunately, there are a lot to choose from and it all depends on what you want to use the watch for – work or play or both. Whichever ever model you choose you know that you are guaranteed a timepiece that oozes refinement and elegance, and for those of you with a practical head, a good investment. The Rolex Cellini embodies elegance, even the name is elegant. In true Rolex tradition, clients can pick and choose the combination of bracelet, dial, markers and functions giving women a choice from 72 options. Rolex are good at giving the customers a wide range of options and quite right too when you consider that owning a Rolex watch comes with a pricey tag. The Cellini range is simple, yet can be made with a fully functioning chronographs set in different positions, different time zones and slick use of rose gold, if that is your thing. Giving women Rolex watches that are stylish and delicately use precious metals and jewels. The Cellini does have a unisex look about it so need not be exclusively for women. The Rolex Day-Date was launched in 1950 and is one of the most sought-after luxury watches for women. In true Rolex tradition the options are more than most watch makers offer. In the case of the Day-Date there are 96 to choose from. To make it more interesting, this watch is only available in gold and platinum, which says that this range of watches is at the top end of quality of the already high standard set by Rolex. If you can really stretch the boat out, the Rolex Day-Date is available with a gem-set bracelet. The delightful Rolex Lady-Datejust watch has been designed as a day watch for those with opulent tastes and bank accounts. It is also a practical watch in the luxury range of watches for women available as this prestigious watch maker claims that the Oyster Perpetual is a watch for all occasions. The style is magnificently simple and suitably fits the term “less is more.” The simple style does not detract from the quality of this wonderful time piece. The oyster steel bracelet design is synonymous with Rolex, the markers are made of gold so it will not tarnish and the colours of dials offered are sophisticated in keeping with Rolex’s reputation. The Oyster Perpetual is available in a range of dial sizes to will fit any wrist and to suit any style of fashion. The Rolex Cosmograph Daytona is an exquisite watch that puts the functions of a watch and displays them through skilful colour co-ordination by either going for one colour displaying the dial, hands, clasps and markers or providing striking contrasts of colour and all done so stylishly. There are few examples of how to make a pristine precision time piece into a work of art and Rolex have succeeded just that in the Rolex Cosmograph Daytona. Any woman would be thrilled to have this piece as part of her jewellery collection. The Cosmograph Daytona was launched in 1963 and was designed for professional racing drivers. Women drive fast cars too, and women like adventure too. This watch has a dial that is just phenomenal, for extra decadence you can have get set markers placed with diamonds. This truly is a gem of a watch. The Rolex Sky-Dweller is another relatively new addition to the Rolex range. The year 2012 seems to have been the year for rolling out new designs to woo in new customers, and that they most certainly have done in style. The Rolex Sky-Dweller has incorporated rose gold particularly that this watch maker has perfected. 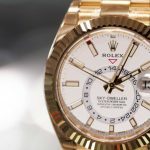 As we all know, such is the demand for Rolex watches, that there has been a growing market of copy cat makers offering cheap merchandise pretending to be the real thing. Let’s be honest here, we all know the difference so why people bother with these imitations and supporting criminals is a mystery. Rolex have been vigilant in protecting the new designs and expanding the work that is covered by patents. This includes how pink gold is preserved in their watches guaranteeing tarnish free jewellery on the outside and on the inside. Fake merchandise cannot do that. Rolex have called their pink gold ‘Everose’ and it lives up to its name. Rolex introduced Everose in 2008, it is 18 carats, is patented and Rolex has its own foundry that makes this beautiful pink gold. So not only are Rolex protecting their patent they are ensuring quality which is beautifully used in some of the Rolex Sky-Dwellers.